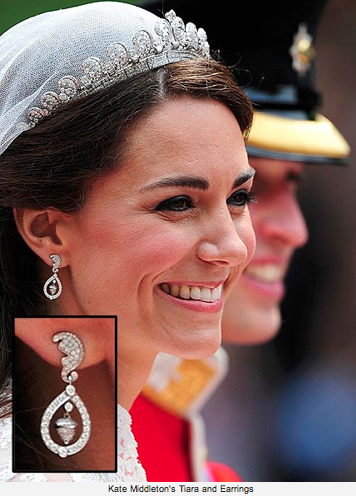 The earrings that Kate wore for her wedding were a gift from her parents. They were designed by the Zoe Benyon, who is a co-founder of the firm Robinson Pelham Jewelers. They also designed Pippa's diamond drop earrings. The earrings have a diamond oak leaf with pear-shaped diamond drops and a pave diamond acorn in the center. The design was inspired by the family's new coat of arms, which includes acorns and oak leaves.
. Gladsome you had a favorable happen, you merit it. Sometimes other things suchlike your fellowship, friends deserve to rise foremost before your diary.